It's mid July friends, which means those of us in Florida have been enduring the sweltering heat. 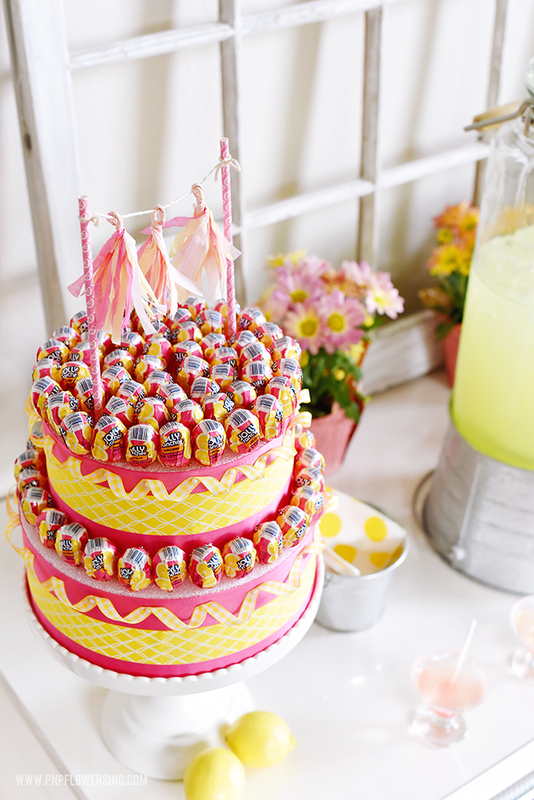 With record high temperatures, I figured there's no better time than right now to share this adorable Lemonade and Lollipop stand I created in collaboration with Hershey's. 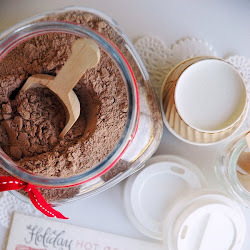 We all immediately think of chocolate when we think of Hershey's, right? But did you know Hershey's is also the maker of Jolly Ranchers® (not to mention about 35 other candies which include mints and gum). That's right. 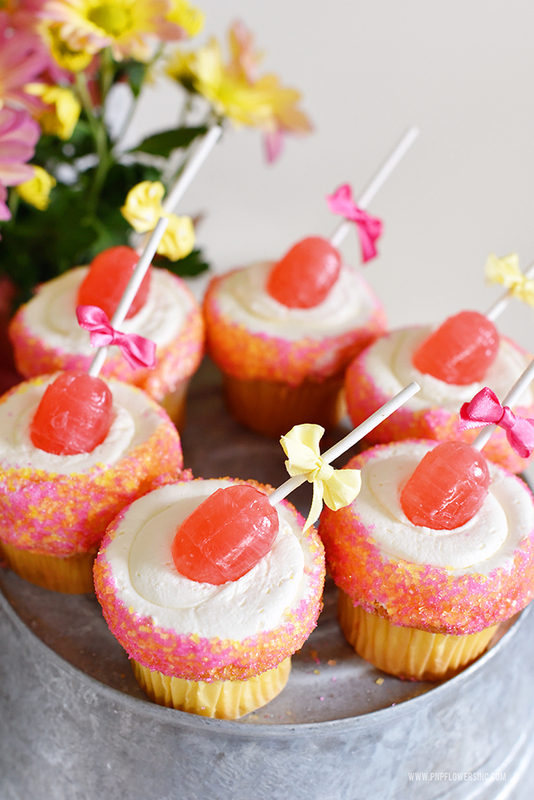 I personally didn't realize that myself and when I discovered these Jolly Rancher® Lollipops, well I knew exactly what I wanted to do with them!! 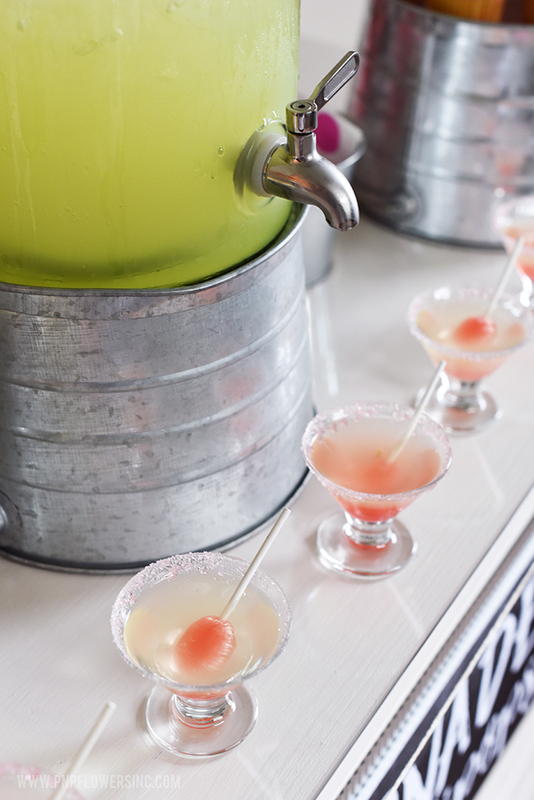 My idea behind creating the Lemonade and Lollipop stand was to inspire it's use for a variety of celebrations. 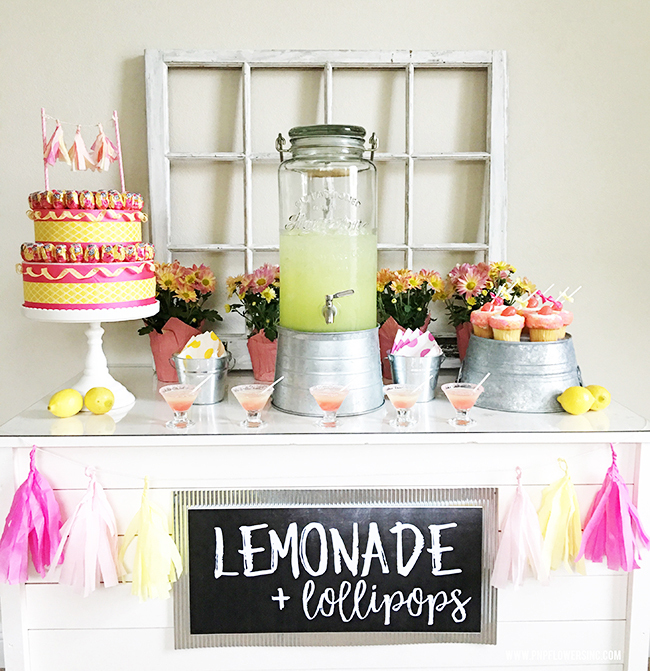 The obvious party idea would be to create this for a Lemonade and Lollipop themed birthday party OR set this up in your neighborhood for your young entrepreneur as a new and improved spin on the classic lemonade stand - like Ella did with her friend. 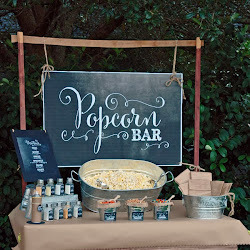 But what's even better is that this stand would be perfect for any Summertime celebration...pool party, baby shower, family reunion, and how about a back-to-school neighborhood party? You could even spike the lemonade and invite your girlfriends over for an afternoon of poolside fun. 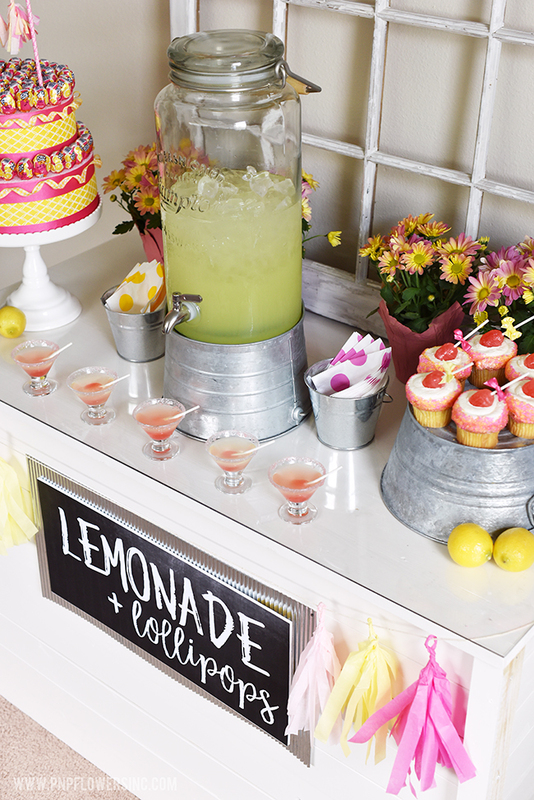 All you really need is some lemonade, Jolly Rancher® lollipops, napkins and some cups and you've got yourself a lemonade and lollipop stand. 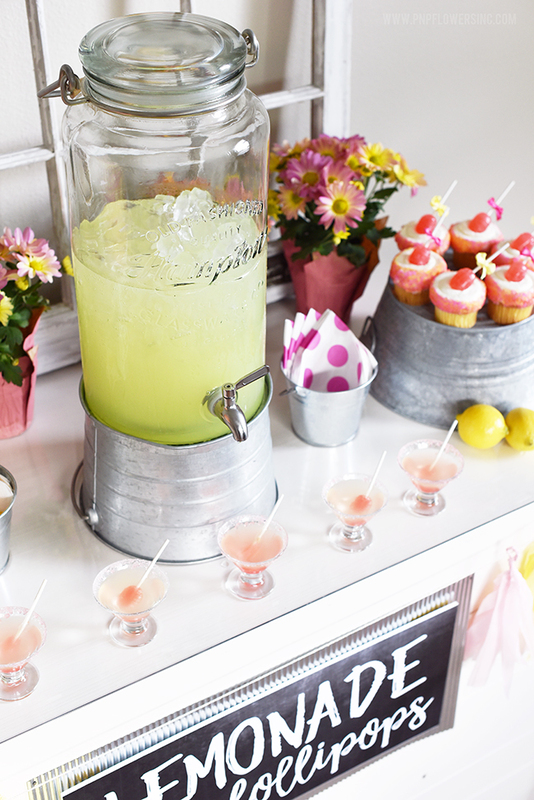 However, in order to make things super cute there were a few special little details I incorporated to make the stand extra adorable for guests and to really showcase the Pink Lemonade flavored Jolly Rancher® Lollipops: a two-tier lollipop cake, lollipop topped cupcakes, crushed lollipop rimmed lemonade glasses, and lollipop stir sticks. 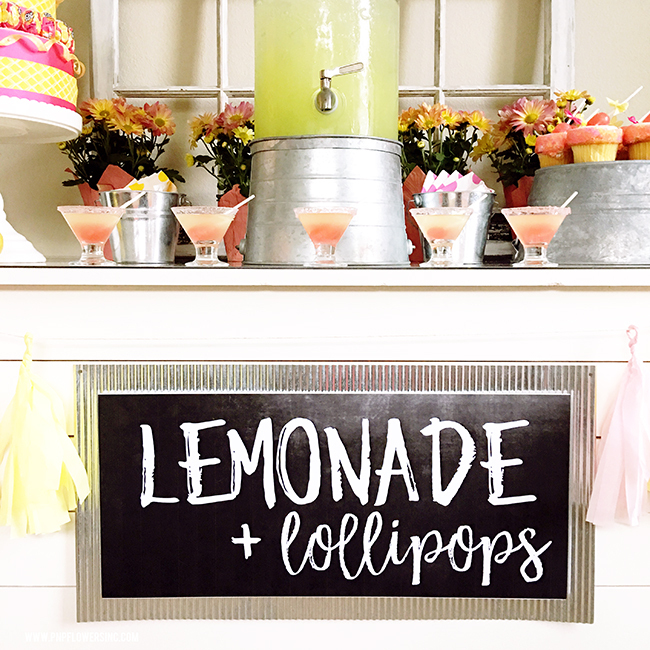 Do you love the Chalkboard Lemonade + Lollipops Sign? FREE DOWNLOAD HERE! 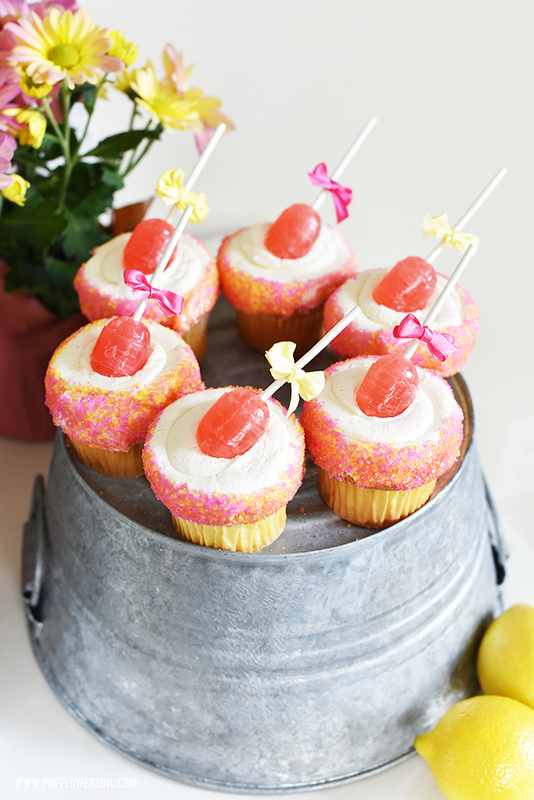 Of course the tiny bows used on the Jolly Rancher® lollipops were a cute way to finish off the cupcakes and tie in the color scheme of the lemonade and lollipop stand. Tip: I found it easier to tie the ribbons separately and then hot glue them onto the lollipop sticks. 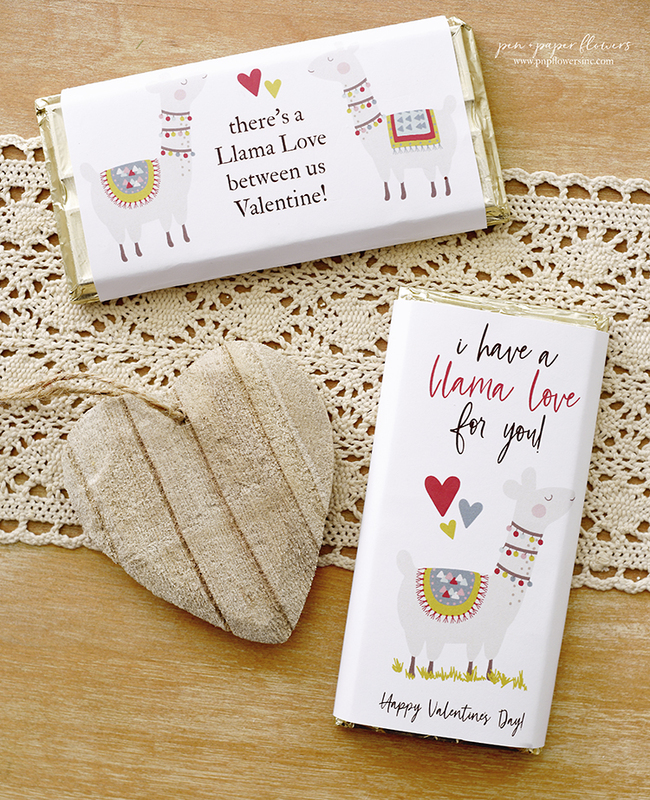 This was a really "sweet" and fun concept to put together and is such a timeless theme. 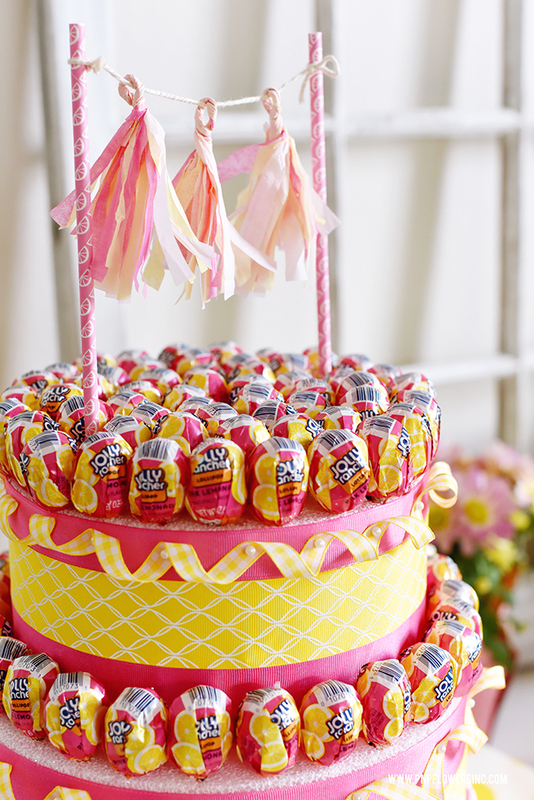 If you are considering it for your next celebration, stay tuned for the DIY for the Jolly Rancher® Pink Lemonade Lollipop Cake as well as the how-to on the sugar- rimmed glasses. 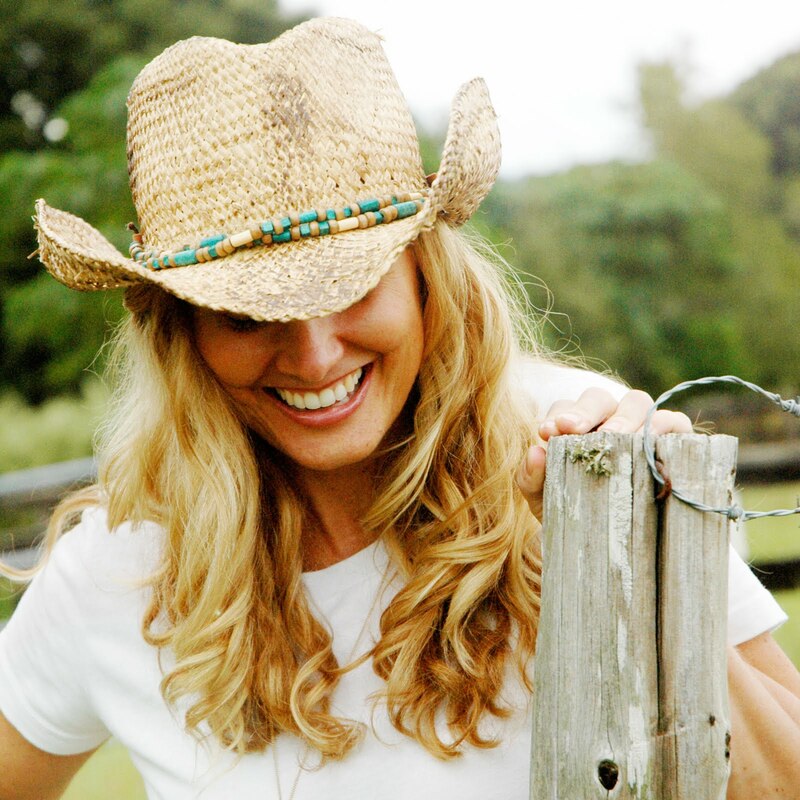 Sending you all a cyber "clink" as I pretend to sip a glass of ice cold lemonade with you! Cheers! This is the first Summer ever where I am completely without kids for a small period of time. Ella is in Illinois with her dad for the next 5 days as they visit her grandparents. Ema is leaving for Tennessee today with a friend and will be gone for 10 days. Clara is 20 years old and has her own life and schedule. So basically...it's just Hamilton and I at home together. Kind of weird to have such an empty house. But kind of nice to have some absolute quite time to myself. Not that things aren't already crazy at times over there. Curious about the "crazy" side of me and my silly sense of humor?